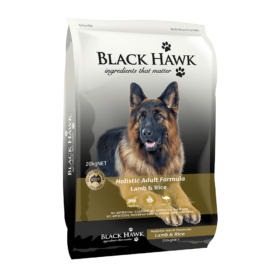 This wholesome grain free dry food for your adult canine companion was developed with veterinarians and animal nutritionists to be complete and balanced nutrition for every day feeding. 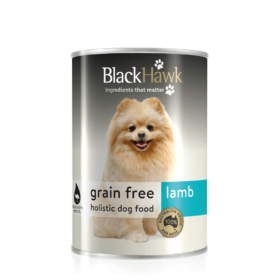 Using only high-quality ingredients, this grain free dry dog food promotes healthy digestion and is packed with a high concentration of lamb and kangaroo proteins to help with lean muscle maintenance. 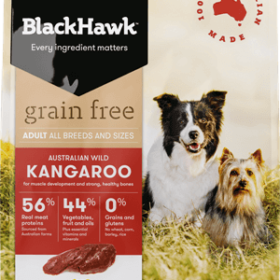 We use carefully selected fruits, vegetables and superfoods, like kale and blueberries, to boost antioxidant intake together with flaxseed and salmon oil rich in omega 3 & 6 to help maintain skin and coat health. A natural prebiotic is added to help maintain healthy digestion and essential vitamins and minerals to provide your companion with complete daily nutrition. 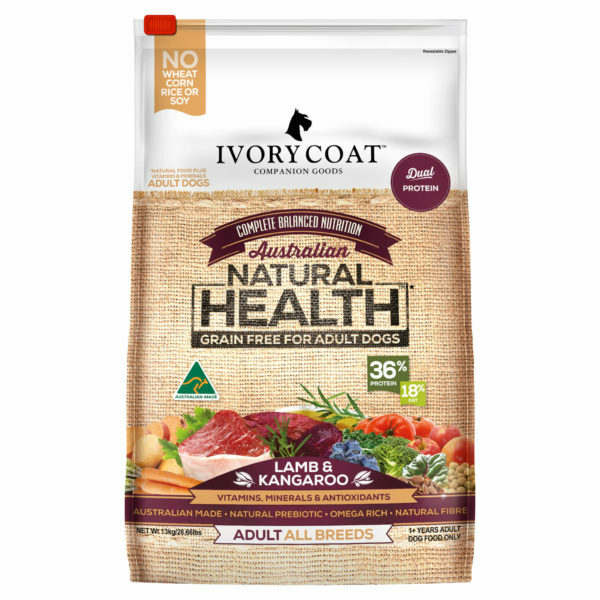 Lamb Meal, Kangaroo Meal, Potatoes, Peas, Dried Lamb, Dried Kangaroo, Pea Fiber, Tomato Pomace, Chicken Fat (preserved with Mixed Tocopherols), Ground Flaxseed, Salmon Oil, Carrots, Sweet Potatoes, Kale, Broccoli, Spinach, Parsley, Apples, Blueberries, Vitamins A, B1, B2, B5, B6, B12, D3, E), Beta-Carotene, Niacin, d-Calcium, Biotin, Folic Acid, Magnesium, Iron, Zinc, Manganese, Copper, Natural Prebiotic, Calcium Propionate, Rosemary Extract & Green Tea Extract. This is a naturally preserved product. 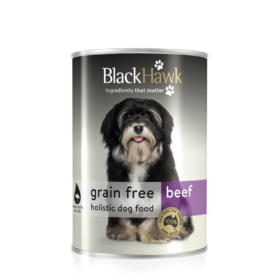 Given this is a natural product with no artificial colours used, variations in colours of kibble can occur between batches due to seasonal ingredients.